CLICK for more beautiful samples !
. WKD - katabira, tsujigahana and more Summer robes . 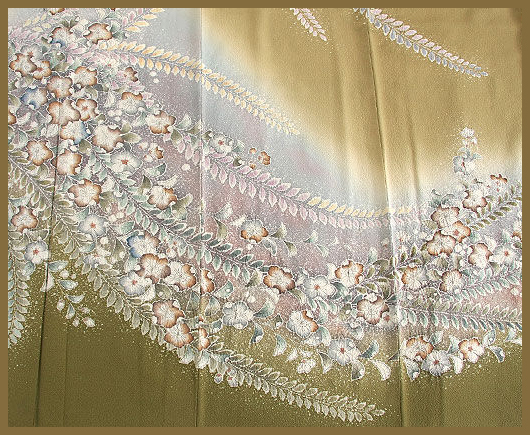 It's not necessarily appropriate to define what “TSUJIGAHANA” is because there are few remaining data and existing kosode (short-sleeved kimono), but tsuji-ga-hana may be defined as “what is used on the premise of tie-dyeing with drawing pictures, impressing foil, and embroidering”. Tie-dyeing, which forms the basis of tsujigahana, has been traditional way of dyeing from Nara Period in Japan. There are various ways from those of basic and easy such as tying and bundling to those of difficult such as sawing outline of design and tying, and dyeing in different colors. The latter one is called “koukechi”, which is the way that prevents dye stuff from penetrating a textile. In concrete terms, advanced techniques, such as complicated sawing, tying and tightening, and take-kawa-shibori (tying with a bamboo leaf), are used. 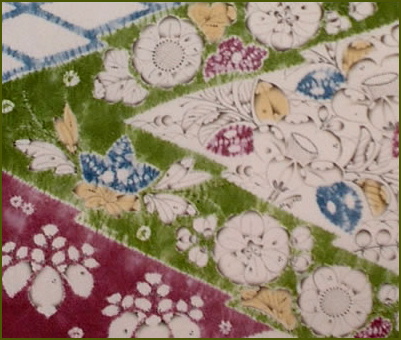 In the case of making dappled cloth, which has tiny pattern, we only need to tie textiles with a thread, but when to make big design, the techniques of maki-age-shibori (coiling up tying) and take-kawa-shibori are used. When we dye textiles in different colors, the technique of oke-shibori (tying with tub) is used. Maki-age-shibori is the way that protect against dyeing by coiling up a part. Take-kawa-shibori is the way that protect against dyeing by covering a part with a bamboo leaf. Bamboo leaves are now replaced by easy-to-use plastic. Oke-shibori is the way that protect against dyeing by putting a part in a tub. The name “tsuji-ga-hana” first emerged on a literature in the late 15th century. A literature says in 1596, Toyotomi Hideyoshi presented tsujigahana to an emissary from Ming as his/her farewell present. Tsuji-ga-hana, which range from simple tie-dyeing to impressing foil and embroidered gorgeous one, became fashionable in the public after a century from its birth. Simultaneously, the name “tsujigahana” seemed to have become popular as we associate kimono with “Yuzen”. As we see in kosode of katsurame (woman merchant), battle surcoat, remaining kimono in Tokugawa, and so on, the height was about from the Momoyama period to the Edo period. 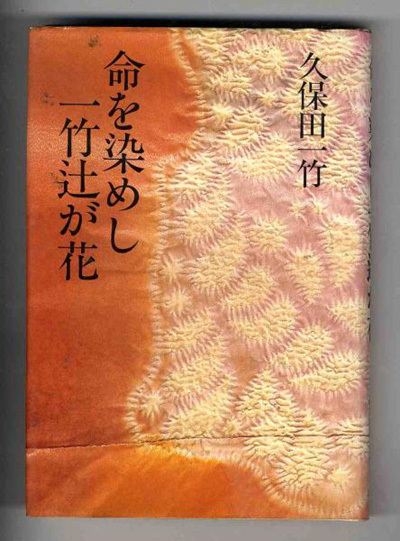 By improvement of Yuzen dyeing, tsuji-ga-hana lost its significance of existence and died out in course of time. Recent years, though “tsujigahana” has been becoming public knowledge by receiving media exposure, it seems that tsuji-ga-hana is merely one of the designs; however, “tsujigahana” is consistently “tie-dyeing”. Tsujigahana is the technique which maximizes essential beauty of tie-dyeing by drawing pictures and impressing foil. Tsujigahana (辻ヶ花) is a Japanese fabric dyeing technique that originated in the Muromachi era. 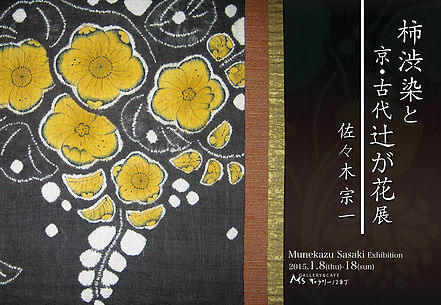 Tsujigahana is a variety of Kimono created by the technique of Shibori. The extravagant patterns were rather more picturesque and it was more eye-catching than other ordinary kinds of Kimono. 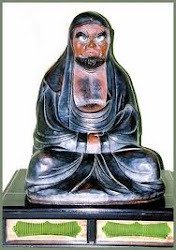 Tsujigahana technique is in a shroud of mystery as it is not clearly known who invented it or why it was called Tsujigahana. The technique lasted for two era from Muromachi period to Edo period for about 300 to 400 years. It quickly became forgotten after the rise of Japanese handicrafts technique. But Tsujigahana nevertheless contributed a lot for the decorative art phase in Azuchi-Momoyama period. The art was revived by Itchiku Kubota (1918-2003). He was succeed by his son, Satoshi Kubota. Itchiku founded the Itchiku Kubota Art Museum. His collection of eighty kimono, known as the Symphony of Light, displaying the Four Seasons (including Oceans) and The Universe is a work in progress, passed from father to son. CLICK for a great selection of his artwork ! was a Japanese textile artist. He was most famous for reviving and modernizing a lost late-15th- to early-16th-century textile-dyeing and decorating technique called tsujigahana (literally, flowers at the crossroads). Kubota left school at age 14 to become the apprentice of Kobayashi Kiyoshi, a Tokyo kimono artist who specialized in hand-painted yuzen (a paste-resist-dyeing technique). 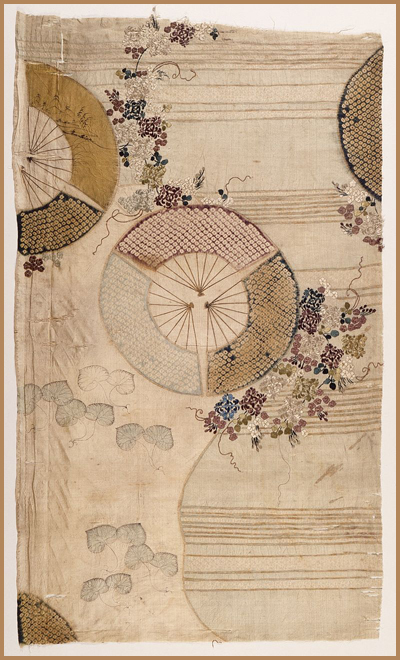 Kubota also studied other techniques for decorating fabrics, as well as Japanese-style landscape painting and portraiture. 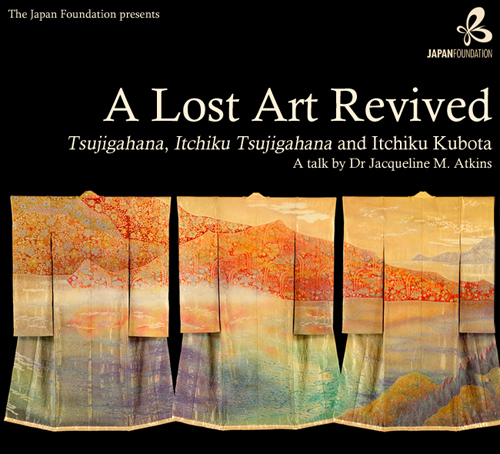 At the age of 20, he first saw a fragment of a textile in the tsujigahana style at the Tokyo National Museum, and decided to devote his life to recreating it. Because no instructions survive that explain how to reproduce the complex decorative techniques seen in tsujigahana, and because the silk fabric necessary for its successful production (nerinuki) is no longer woven, Kubota was forced to experiment on his own for decades. In 1962, Kubota decided that there were too many technical problems surrounding his mission to recreate traditional tsujigahana. He would instead develop his own form of tsujigahana, called "Itchiku Tsujigahana," substituting a contemporary silk crepe fabric (chirimen) for nerinuki and synthetic dyes for natural colors. In 1977, when Kubota was 60 years old, he displayed his decorated kimono for the first time in an exhibition in Tokyo. 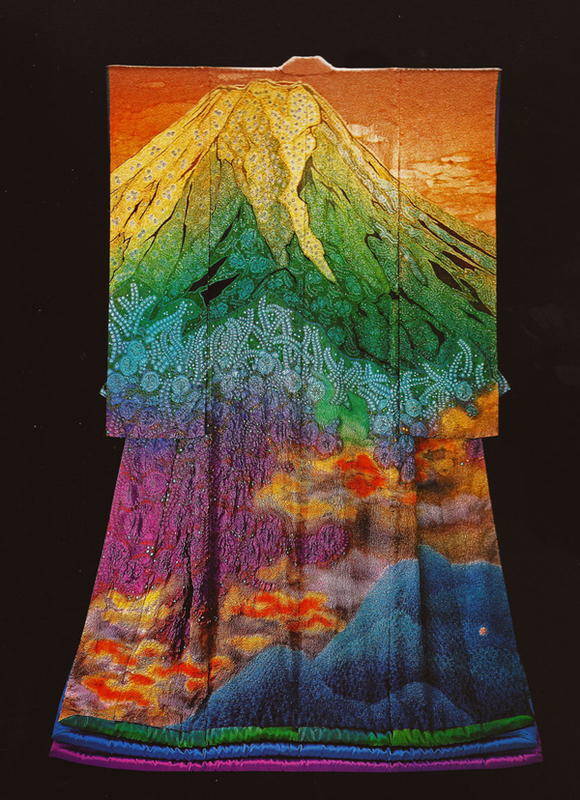 Kubota's grand scheme was a series of kimonos, called Symphony of Light, that would depict the "grandeur of the universe". An exhibit presenting part of the "grandeur of the universe" Kubota Itchi was shown in the Smithsonian Museum in Washington D.C. for 6 months in 1995 - the first time the Smithsonian presented an exhibit of a living artist. 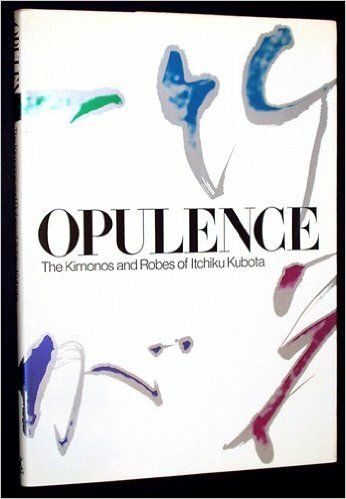 At the time of his death, he had completed 40 of his projected 80 kimono in the series. Kubota's unique vision for this series involved a decorative landscape design that flowed from kimono to kimono, resulting in a panorama of seasons and views. Kubota's son and daughter continue their father's work at the artist's studio, Itchiku Kobo, in Tokyo. east, west, south, north . . . This haiku has the prescript, “Imperial Capital,” i.e., Kyoto. In Issa’s day, this is where the emperor and his court lived. Political and military power was centered in the Shogun’s city of Edo, today’s Tokyo. Makoto Ueda writes that the “blossoms” (hana) refer to the colorful kimonos worn by the people of Kyoto; Dew on the Grass: The Life and Poetry of Kobayashi Issa (Leiden/Boston: Brill, 2004) 28. 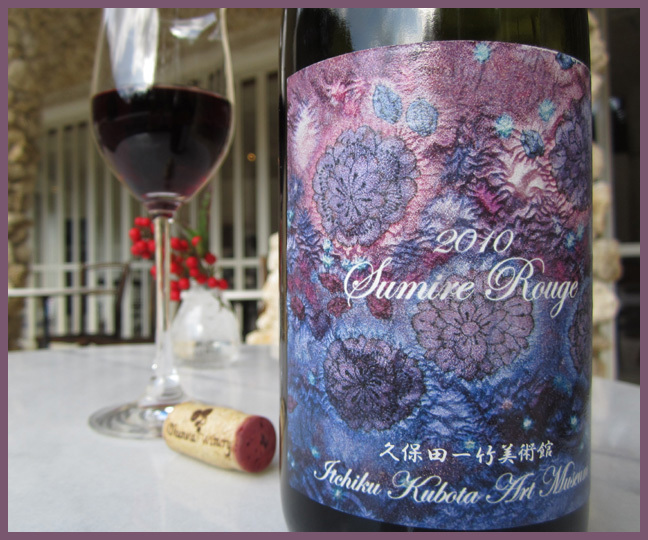 Since kimono is a more widely known term than katabira, I use it in my translation, following professor Ueda’s example.